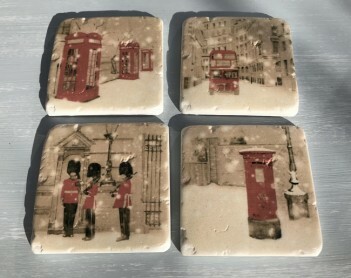 These resin marble effect coaster have attractive patterns on the top and come in the sets of 4 as shown in the photos. They are cork backed to protect surfaces. £11.95 for a set of 4. Please click on the main photo and the thumbnails to see larger images. £3.99 to post, weight is 700 grammes per set.